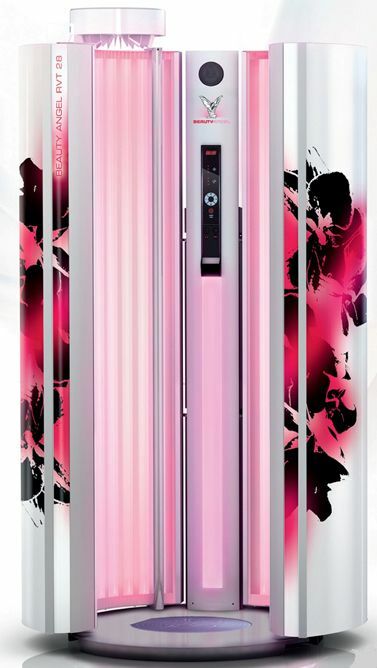 The BEAUTY ANGEL RVT 30 experience includes total body exposure to BEAUTY LIGHT. This light energy is ideal for anybody seeking an easy way to look and feel great. The Vibra-Shape technology stimulates muscle activity and increases circulation. The BEAUTY ANGEL'S enclosed cabin, unlike other vibration exercise systems, provides complete privacy. For motivation when training, the MP3 player connection allows customers to enjoy their own music and the high-performance overhead ventilation system ensures optimum cooling, even during the hot summer months.